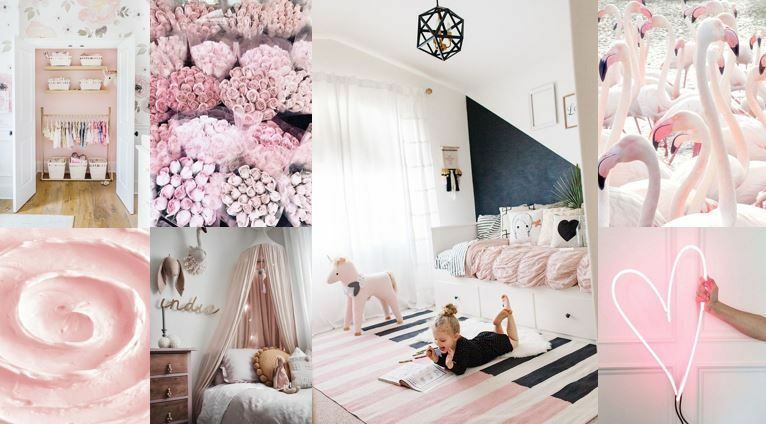 The sweet little pink is really pretty in a child's room when it is arranged with neutral colors such as black, gray and white. The results are great when we use the pink for the blanket, carpet, mobile and wall illustrations. 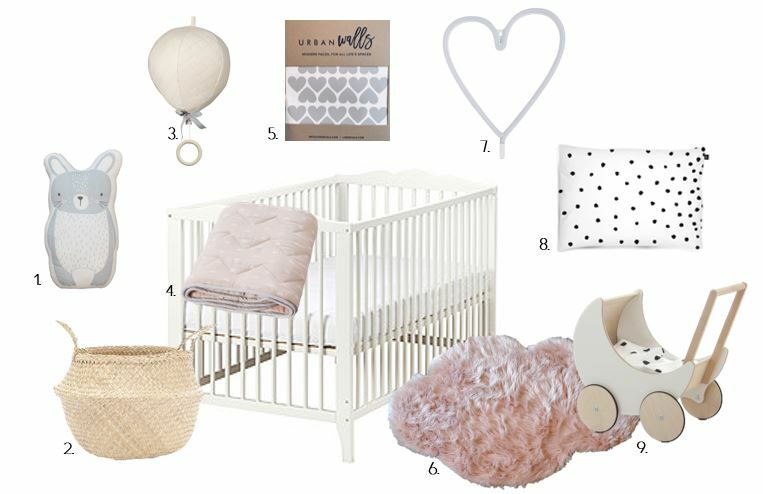 To avoid putting too much, I suggest you keep the storage baskets, furniture, shelves and sheets in neutral tones. Add some dried flowers, wall stickers or wall weavings for a touch of softness and a nice finish on the walls.